Could your finishing process be smarter? A masking analysis by the expert engineers at Caplugs could help you improve efficiency and save money. Masking is a necessary part of the finishing process, but inefficiencies in application and removal often result in wasted labor and added costs. 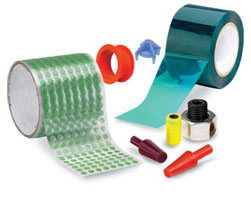 By streamlining your process, you can ensure excellent masking protection and save money. Related to your PRIMARY masking process, what is the curing oven temperature requirement for your masking application? Related to your PRIMARY masking process, approximately how long does it take to apply and remove your masking application? Approximately how much do you spend on masking products per year? Approximately how many components per month does your facility finish? On average, how many different masking products do you use per component? 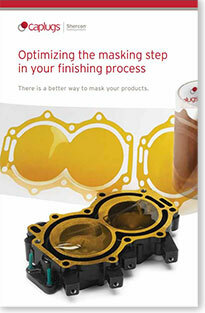 Get started on optimizing your finishing process now. PLUS a personal review of your masking process by a Caplugs engineer.